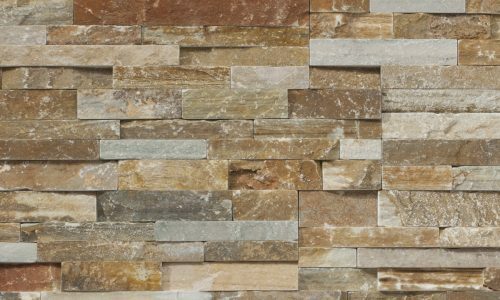 The varying profiles of the stone give it depth and texture while showcasing the natural beauty of the stone. As the light falling on the stone changes throughout the day, so does the look of the stone, as the varying depths cast a variety of shadows. 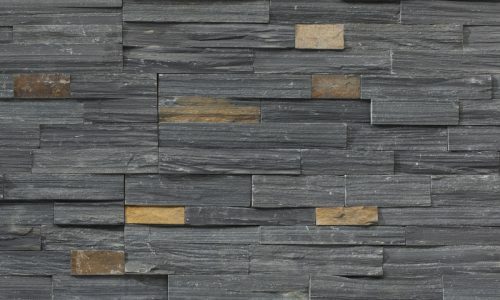 This is a slate, quartzite stone type that can be used on the interior or exterior of a building. Its staggered look can be accredited to a cleft finish, making any wall a masterpiece. A rough split face finish. 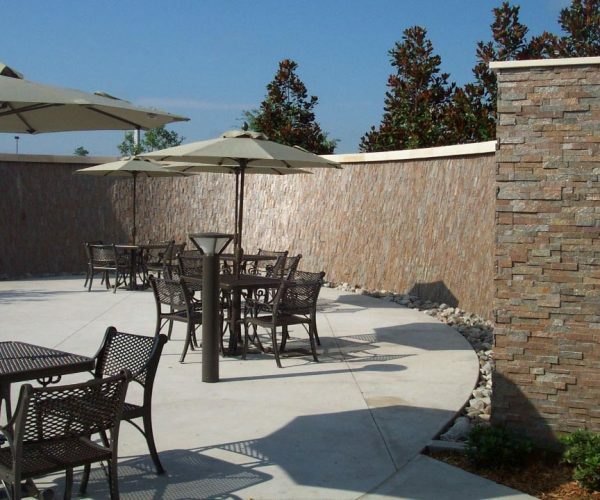 This ledgestone slate can be used in many different applications including exterior and interior surfaces, as well as water features. 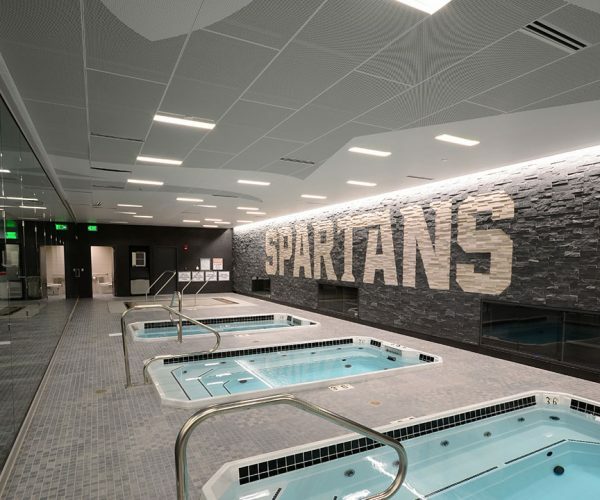 White Birch Honed and Charcoal Accentstone work together great on this wall at Michigan State University. 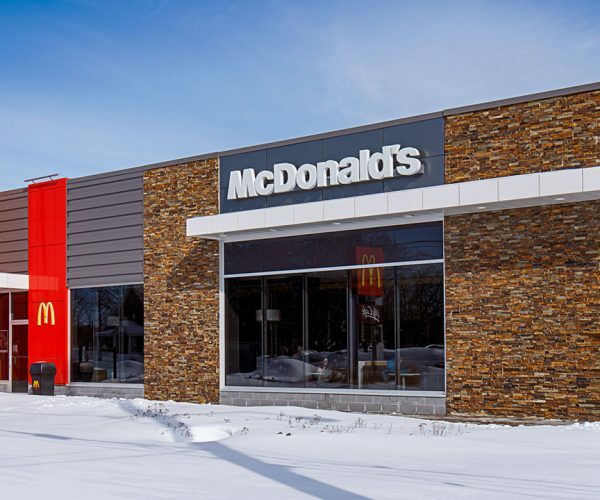 The Terracotta Ledgestone gives this McDonald’s its eye popping look seen above. A beautiful curved fountain built with Copper Shadowstone makes a relaxing sitting area. 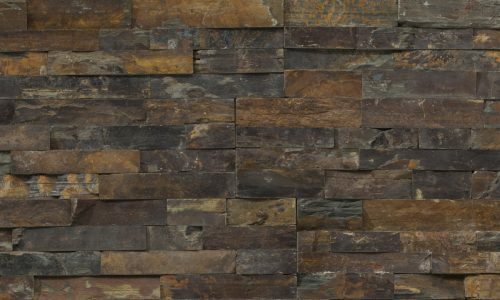 To view more Realstone products, click below!